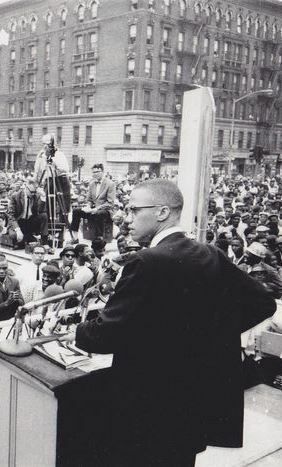 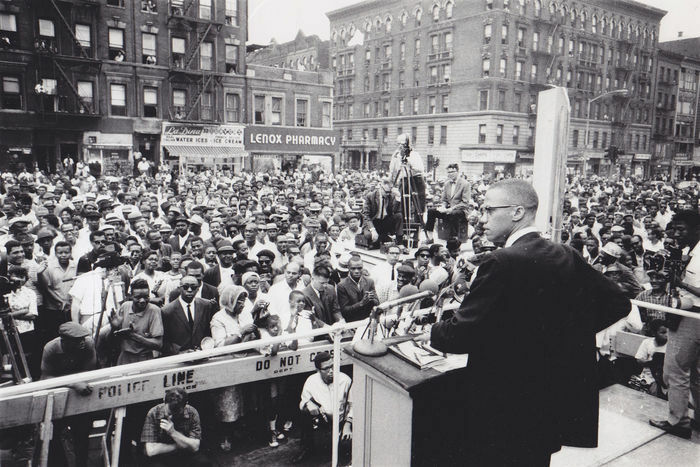 Photograph of Afro-American Muslim leader Malcolm X during a speech in Harlem on 29th June 1963, New York. 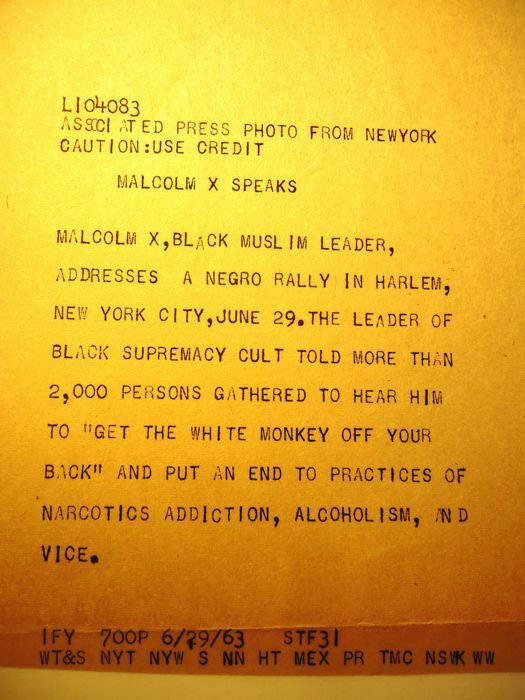 On back, glued, sheet of the teleprinter with press report of the event. 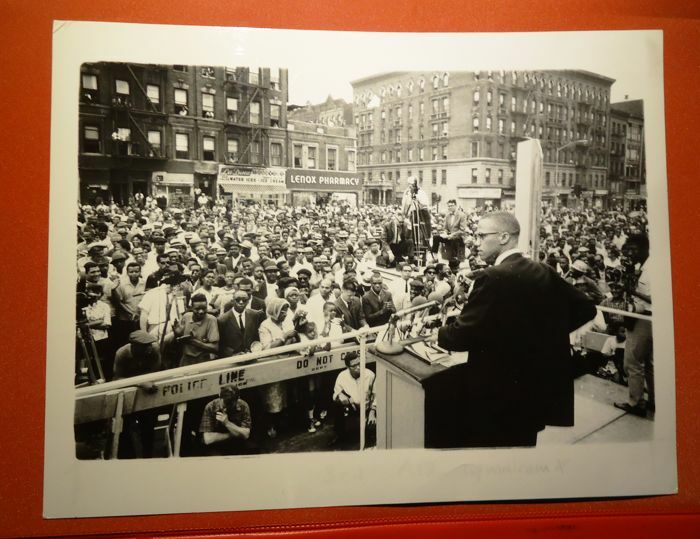 Associated Press photo New York, 1963 silver gelatin print on paper. 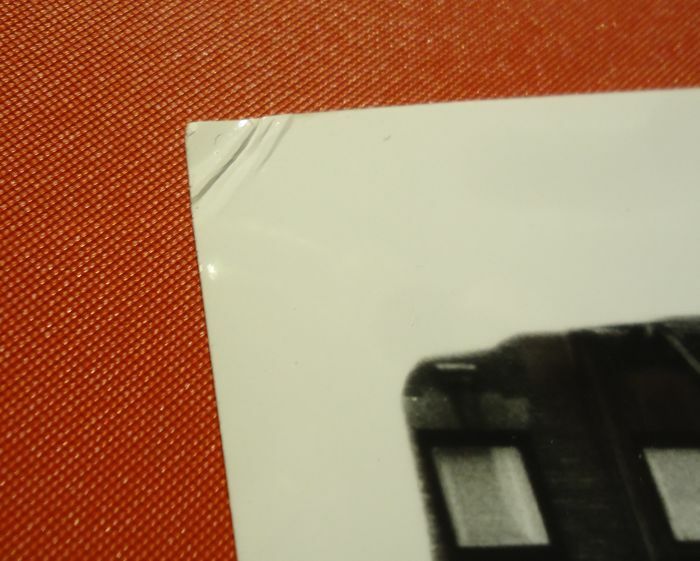 Good condition with small crease on top left.